CDL-A Regional Truck Driver Jobs – NEW Pay Increase in the Tioga, TX area! CDL-A Dedicated Truck Driver Jobs – NEW Pay Increase in the Montgomery, AL area! Now Hiring Local - Dedicated HOME DAILY CDL A Drivers in the Trion, GA area! High Earnings, Steady CDL-A Truck Driver friendly freight and Great Home Time in the Arlington, AL area! High Earnings, Steady CDL-A Truck Driver friendly freight and Great Home Time in the Goldsboro, NC area! CDL-A Northeast Regional Truck Driver Jobs – NEW Pay Increase in the Pell City, AL area! CDL-A Short Haul & Southeast Regional Truck Driver Jobs – NEW Pay Increase in the Rolling Fork, MS area! High Earnings, Steady CDL-A Truck Driver friendly freight and Great Home Time in the Mechanicsville, VA area! CDL-A Short Haul & Southeast Regional Truck Driver Jobs – NEW Pay Increase in the Winona, MS area! CDL-A Northeast Regional Truck Driver Jobs – NEW Pay Increase in the Lula, GA area! Epes Transport is dedicated to providing quality transportation services. Our mission is to continuously improve our service quality to meet the needs of our employees, customers, and suppliers. 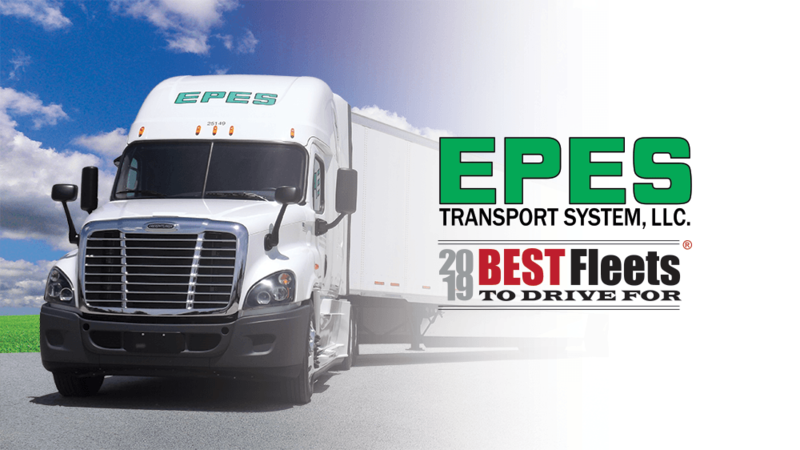 Epes Transportation (originally "The Transport Company") began as a family business in 1931. In 1987, Epes Carriers, Inc. purchased the company and moved its headquarters from Virginia to North Carolina. Today, Epes is the largest private trucking company in North Carolina.